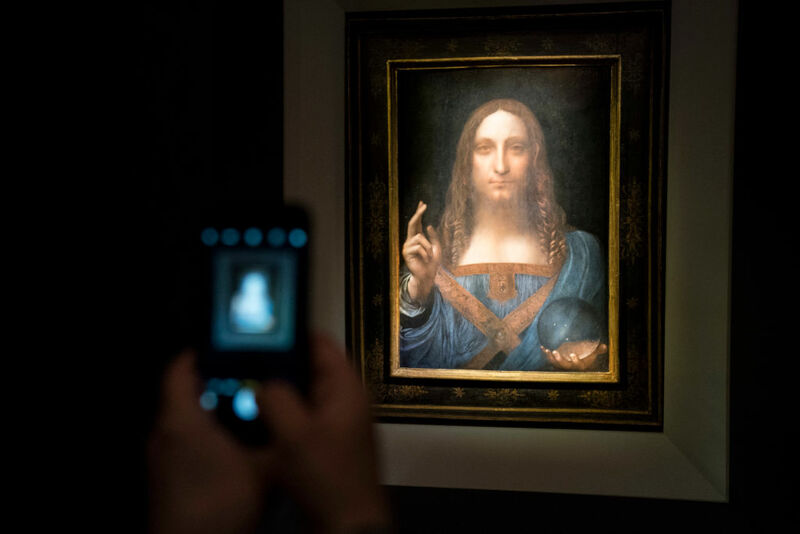 Last year, Leonardo da Vinci's painting Salvator Mundi became the most expensive in the world after it was sold to Saudi Crown Prince Mohammed bin Salman for $450 million. Now, in a baffling development, The Times reports that the painting has not been seen publicly since its acquisition by Louvre Abu Dhabi, and that scholars and others with an interest in the important piece of artistic history are growing worried that is has been somehow lost. "Nobody outside the immediate Arab hierarchy knows where it is… I have no idea. The mystery of its location is, of course, disturbing." The disappearance is only the latest chapter in Salvator Mundi's long, complicated history, that has seen it go from an overpainted, virtually worthless mess to a genuine, authenticated da Vinci over the course of the 20th century, having once been sold in 1958 for just £45 as a work by one of da Vinci's pupils. Eventually, it ended up in the collection of Russian billionaire Dmitry Rybolovlev (whose purchase of the painting from dealer Yves Bouvier is one of the points in the big price fixing scandal and legal dispute between Rybolovlev, Bouvier, and auction house Sotheby's), who sold it to the Crown Prince just days before the opening of the Louvre Abu Dhabi was announced. "I am concerned about its condition, its well-being… I am trusting and believing that, wherever it is, there are people who understand that it is a 500-year-old, very fragile work of art and that they are keeping it in museum conditions." Hopefully, he is correct in his trust and his belief and the painting has not truly been jeopardized in anyway.